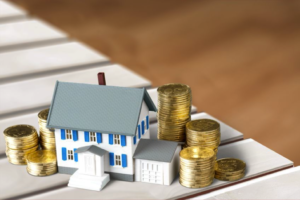 Being a landlord is a lot of work, but it also offers some of the most readily available rental property tax deductions compared to any other investment opportunity. If you like collecting a rent check every month, you are going to love the tax deductions available to you as a Baton Rouge rental property owner. As the leader in property management, Real Property Management Baton Rouge has put together a list of rental property tax deductions that are not so obvious and are often overlooked by landlords. Taking these deductions could be the difference between you turning a profit on the rental property and losing money. 1.Use the exact amount paid (for gas, upkeep, and repairs on the vehicle). 2. Use the standard mileage deduction as determined by the IRS. This is one area that Baton Rouge property managers need to be careful in, as the IRS classifies repairs and improvements as different categories. Repairs are defined as anything that keeps the property in good working order-such as replacing a broken window or fixing a leaky faucet. However, if you instead choose to replace all windows with double paned or energy efficient glass, this is an improvement that will extend the life of the property over the years. While the costs of repairs are deductible, the costs associated with improvements must instead be depreciated. Landlords can recover the cost associated with acquiring real estate through the use of depreciation that allows them to deduct a small portion of the costs over a period of many years. Depreciation starts when the home is ready for rent, even if tenants are not occupying it, and stops either when you have recovered the cost of the home or you stop renting the property. If you have questions about the rental property tax deductions available to you, feel free to give Real Property Management Baton Rouge a call, and we will be happy to assist you!